Whether you're looking to launch a new website or upgrade, talk to s1cars first to discover our range of websites and social marketing solutions. 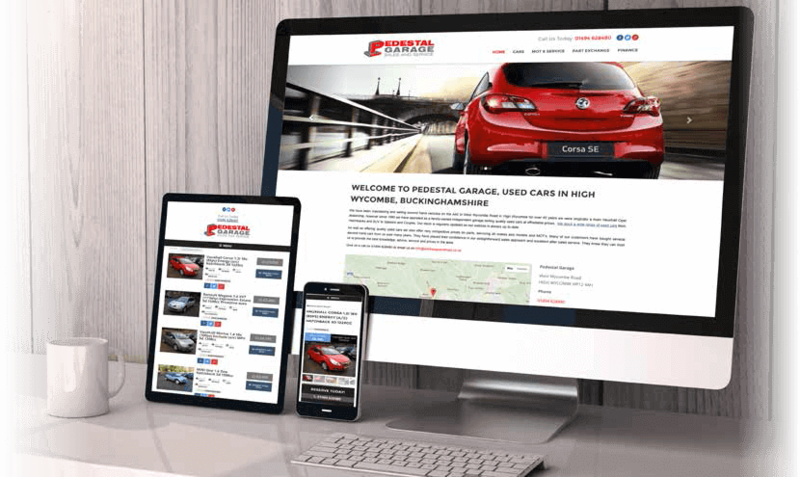 We use our deep knowledge of the online car buying process to provide designs and user journeys that attract and convert visitors into buyers through a full responsive website experience. We also provide a free consultation to help understand your particular branding and marketing needs, ensuring the site we design is optimised for search engines (SEO), maximising your chance to appear high in local car searches on Google and other leading search engines. With us, the journey doesn't stop once your website is built, offering unlimited inbound support for basic changes and modifications. Promote other services - MOTs, Finance, Warranty.